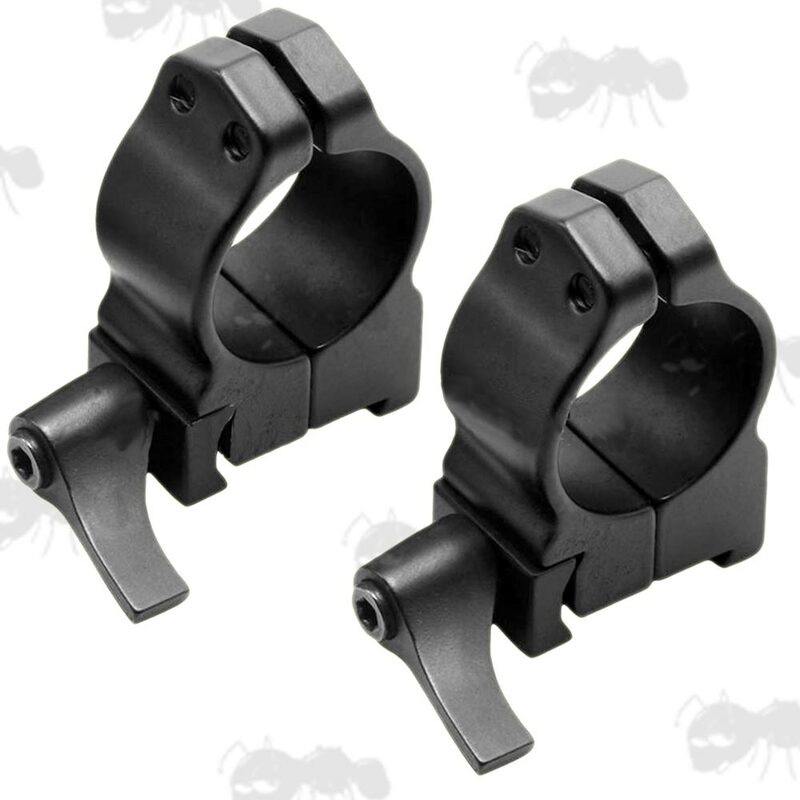 High-grade mounts for Weaver / Picatinny scope rails. Overall height 48mm, width 45mm, thickness 18mm. Overall height 51mm, width 55mm, thickness 18mm. 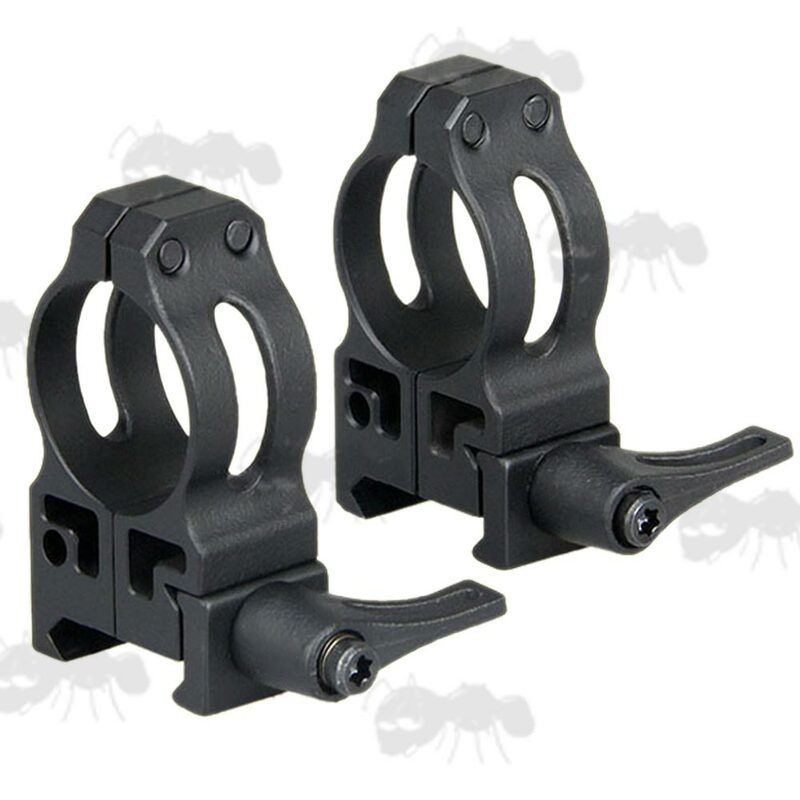 Overall height 59mm, width 40mm, thickness 17mm. 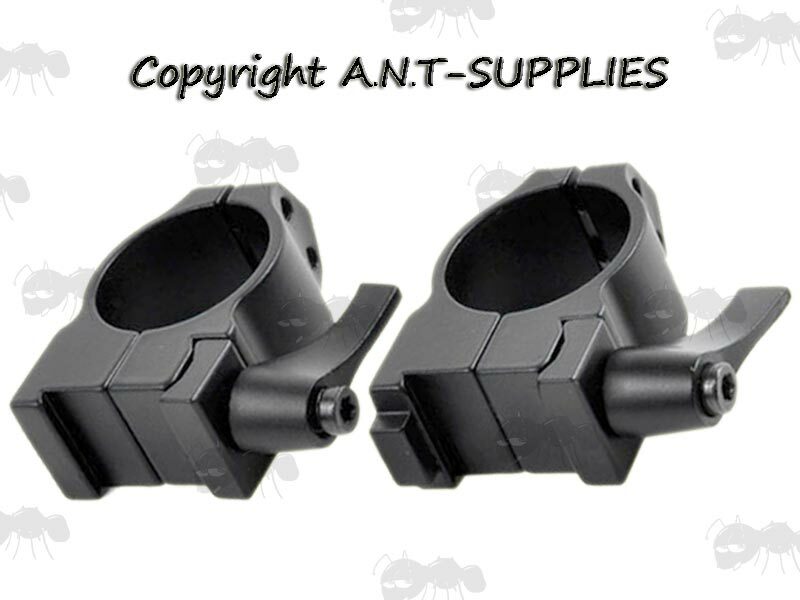 Overall height 63mm, width 46mm, thickness 20mm. 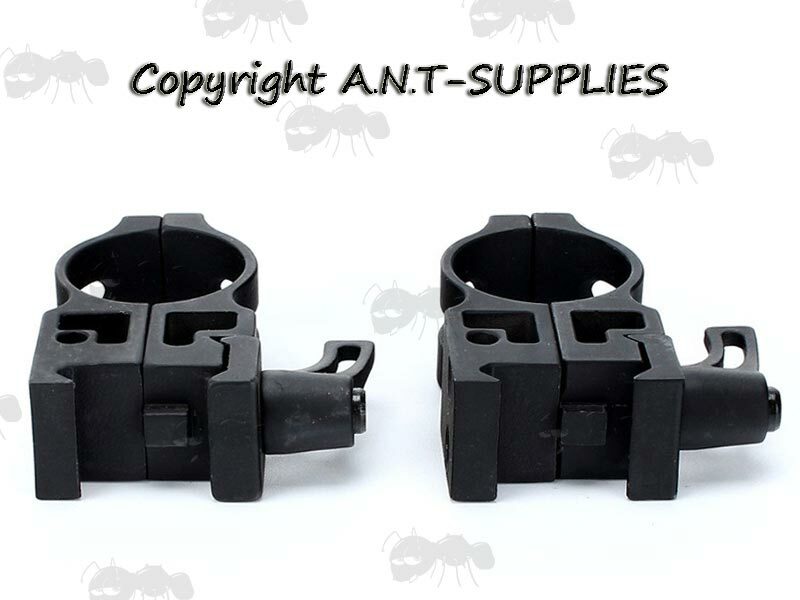 20mm weaver / picatinny fittings (except the low solid 25mm). Made from steel with a black anodised finish. Lever locking design, with indexable lever to allow placement of the levers in any position desired. Offers quick detach and reattachment with reduced loss of zero. 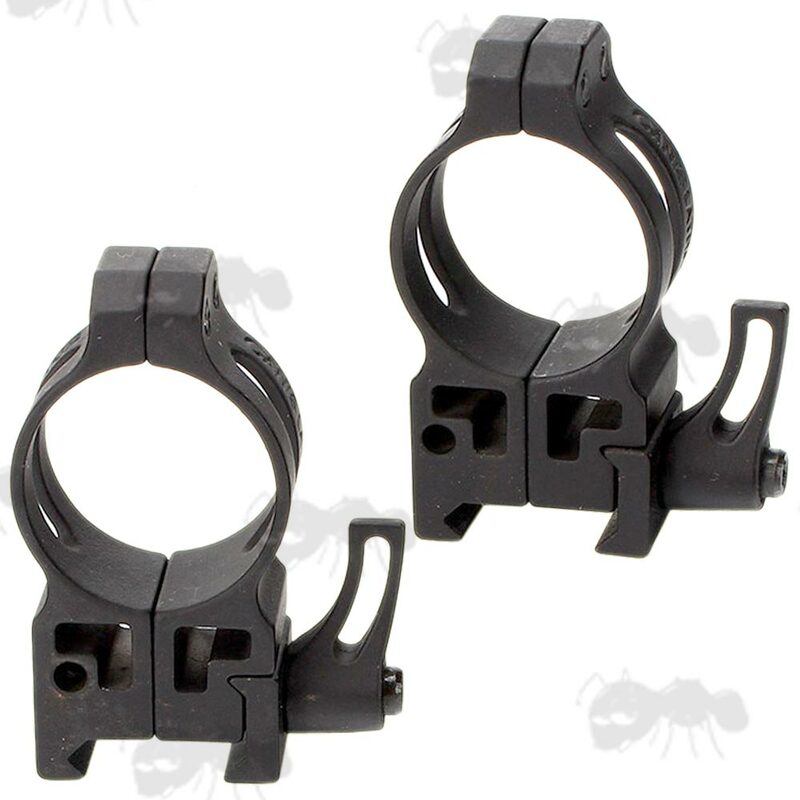 Rings securely mount around scope using 4 Torx style T-15 socket cap screws. 25 inches/pound of torque recommended. 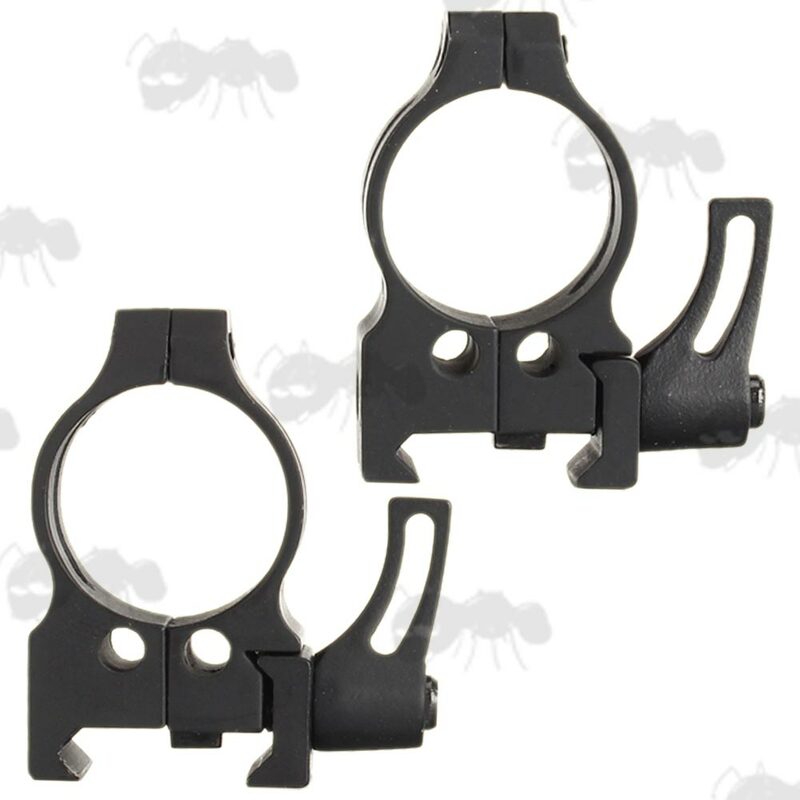 The mounts below are not Weaver / Picatinny, they should fit CZ 550 / 557 rifles.